Summer birthdays bring to mind idyllic picnics, friends, and mountains of ice cream. No one really wants to bake a cake in the middle of July, but birthdays happen regardless of the weather. Our family LOVES ice cream but have never been fans of ice cream cakes unless you count our favourite Peanut Butter Chocolate Ice Cream Dessert. By the way, you can have this cake any time of the year…no need to wait for summer to give this cake a try. Enter the ‘No Bake Cake’. 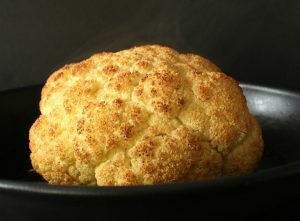 It’s so easy I am wondering if I should even write out a recipe card. 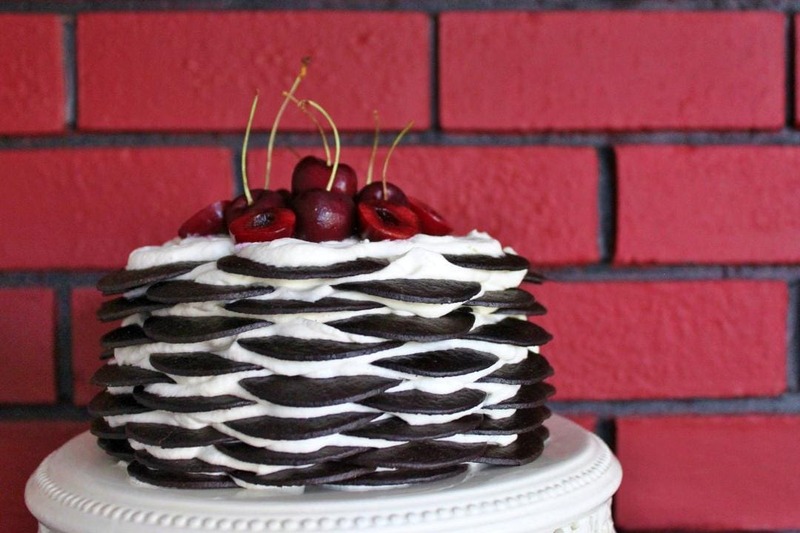 Really, there are just three ingredients in this stunner (not including the cherries on top!) so even non bakers can give this No Bake Chocolate Biscuit Cake recipe a try. Who wouldn’t love a cake recipe that looks like a million bucks but requires no oven, blood, sweet, or tears? If I’m going to be honest here, I really should mention that the first time I had a biscuit cake was the one my father in law made. 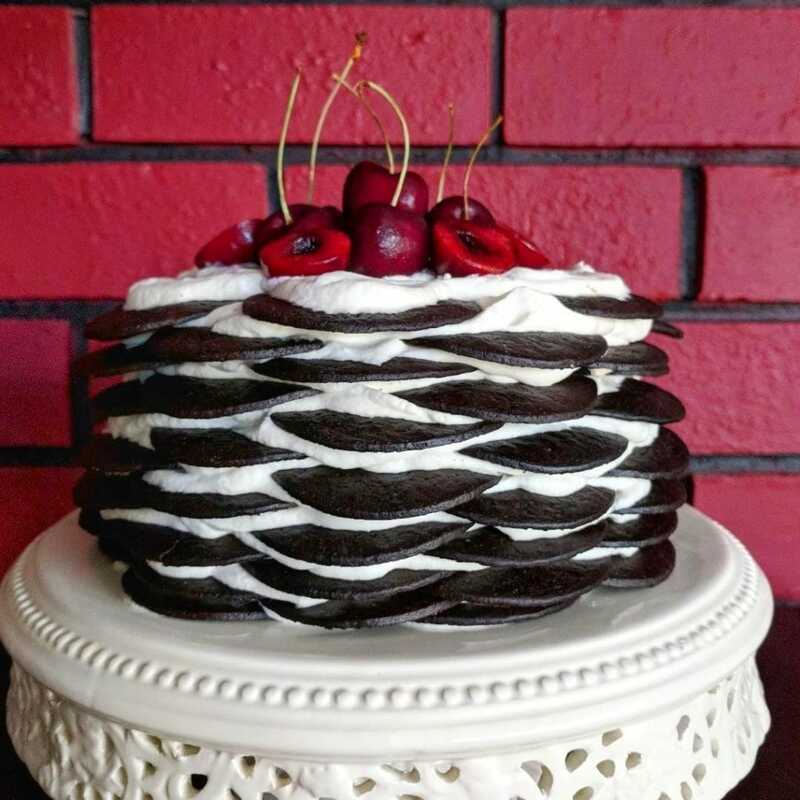 After he set it on the table, I was stunned by it’s simplicity and completely speechless when he told me it was made with whipping cream, sugar, and chocolate wafer biscuits. His construction was pretty basic, as all he did was spread each biscuit with whipped cream then line the biscuits up together in a row. To finish, he covered the whole row of biscuits with even more whipped cream. 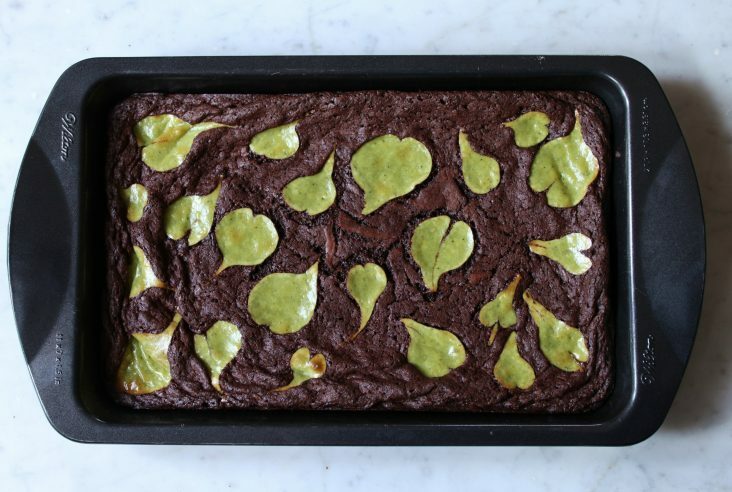 You could just make this cake with those three ingredients, or you could make it even MORE special and add a fourth. Why not? You only live once, right? I’m talking about booze guys! The secret ingredient in THIS No Bake Chocolate Biscuit Cake is Amaretto. I’m of the opinion that Amaretto is delicious and should be in everything but maybe that’s just me. Feel free to play around a bit, you could use some kirsch, Irish Cream or even Creme de Menthe if you’re into that. Of course, only use alcohol if your cake will be eaten by adults, I hope this goes without saying. All that and a cherry on top. Or cherries, to be precise. 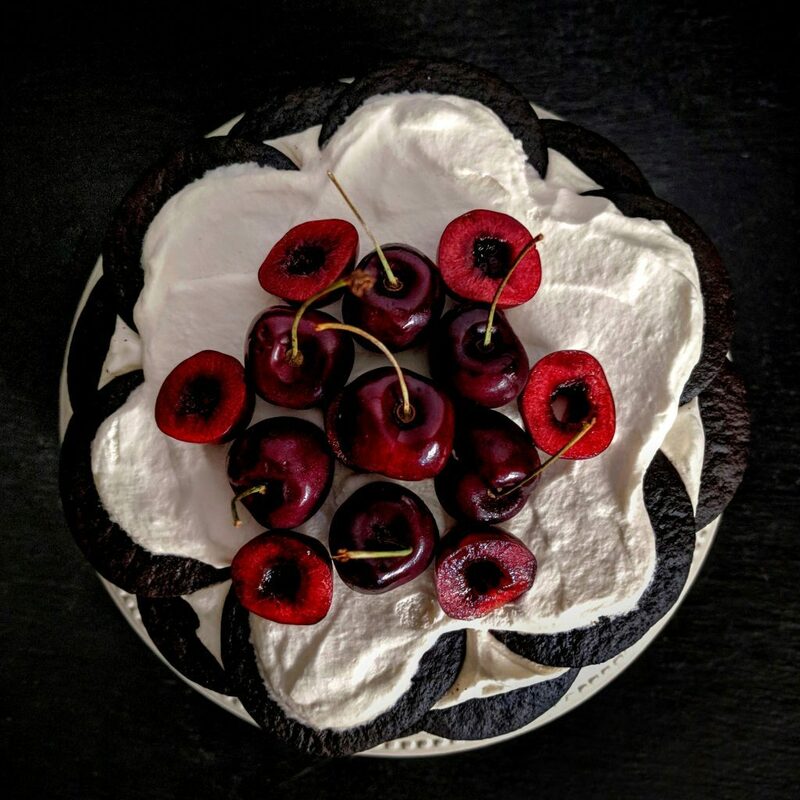 I happened to use these gorgeous fresh Okanagan cherries to top this cake but really you could use any seasonal fruit. This is where you get to play around with booze and topping combinations. 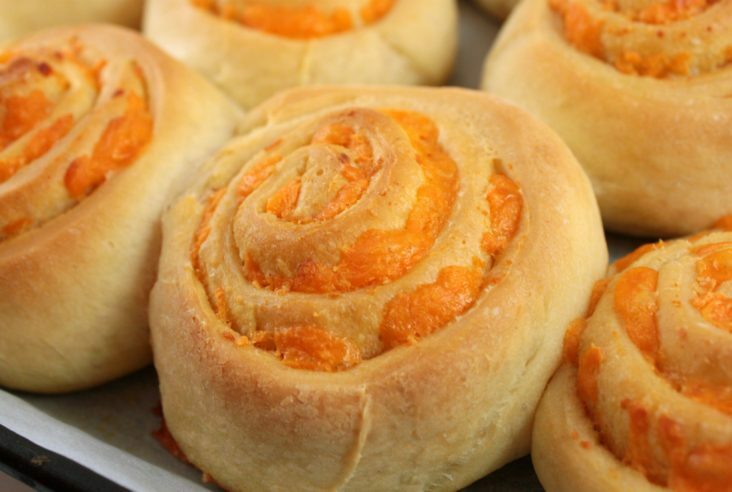 You know what would be absolutely delicious? Girl Guide Mint Cookies with Creme de Menthe. 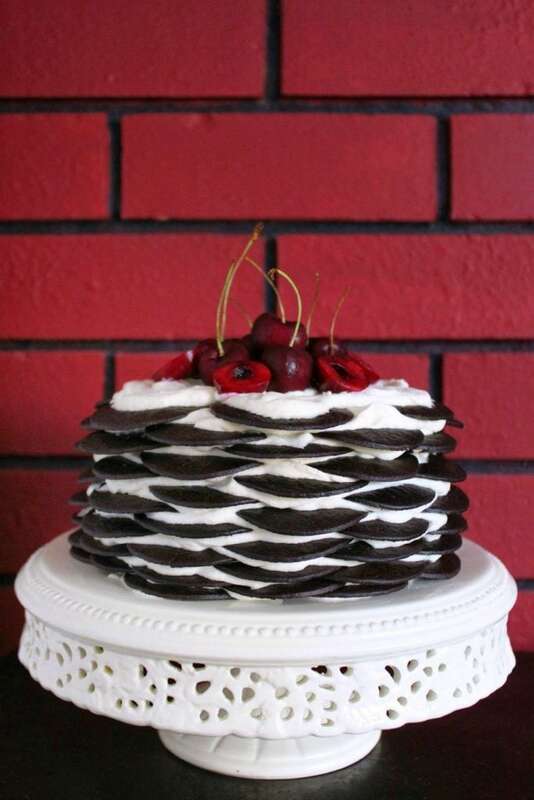 This cake is so simple, you can really run away with your creativity for the fun parts! As mentioned earlier, my father in law chose a simple way to construct his cake. I wanted mine to look a bit more ‘cake-like’ so I assembled it in overlapping layers of biscuits. Doing it this way is a bit more challenging and takes a bit of time. Here’s where the creative perfectionists really shine. Have fun, play around. This is a pretty low pressure cake situation. Cover and place in fridge overnight so that you don’t get any of those ‘fridge flavours’ soaking into the cake. 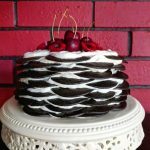 Deceptively stunning, super easy no bake Chocolate Biscuit Cake layered with amaretto spiked whipped cream. Top it with cherries or seasonal fruit to up the 'wow' factor. Start by beating whipping cream in a large mixing bowl until soft peaks form. Add in sugar and beat just to incorporate. Sprinkle in amaretto and fold into whipped cream using a spoon. 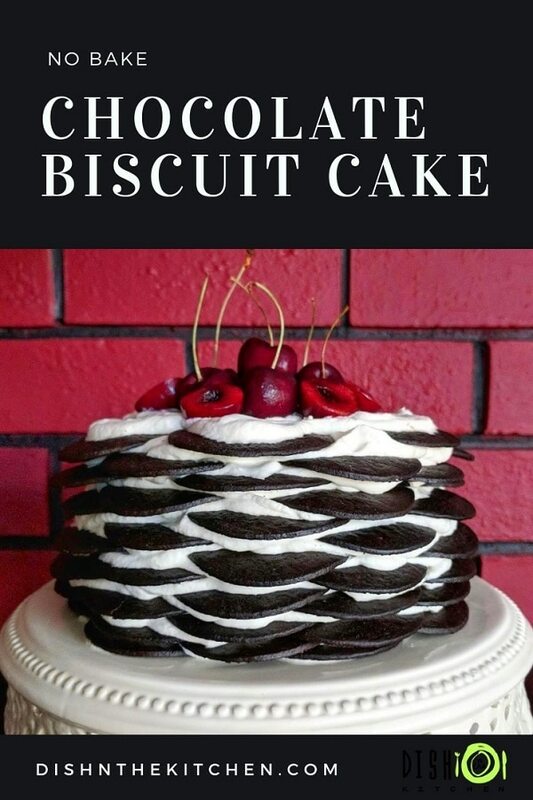 One the plate you wish to serve the cake, dot the bottoms of six whole chocolate biscuits and arrange around one other biscuit in a circular pattern. Spread biscuits with approx 1/3 cup whipped cream (approximately a 3 mm thickness). That is your base layer. Repeat process to build up the layers of the cake, alternating the position of the biscuits so that they overlap. 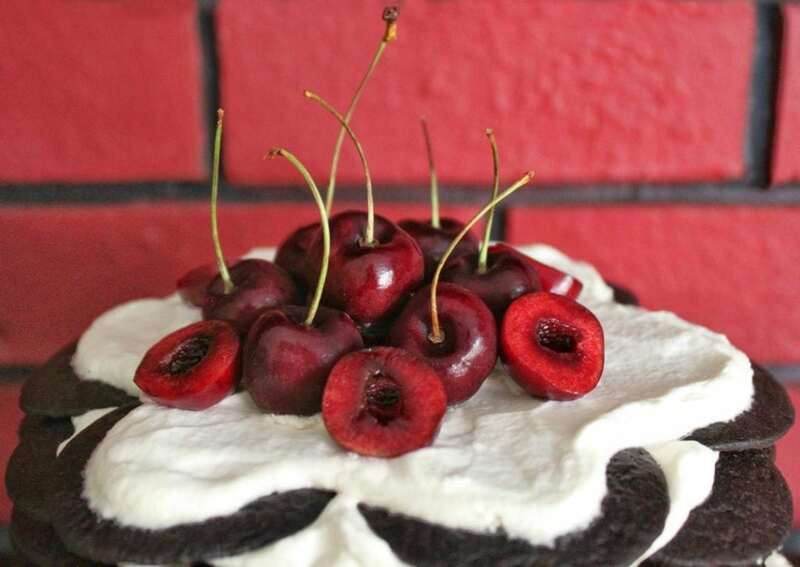 Carefully spread whipping cream over the surface of the cake and top with cherries or as desired.